Join us for a fun-filled, voice raising, hand pulsing event! 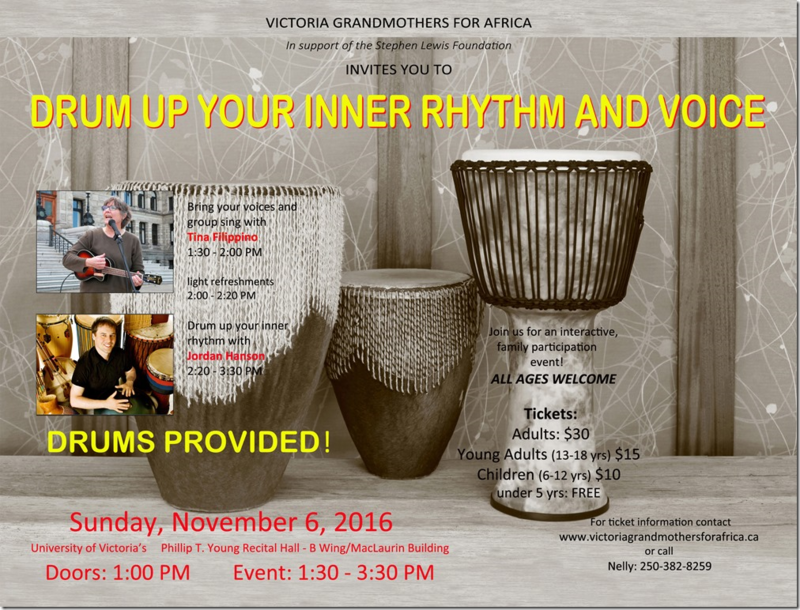 This is an interactive, intergenerational afternoon of song and rhythm that promises to lift our spirits in the darkening days of November. Sunday, November 6, 2016 1:30 – 3:30 p.m. 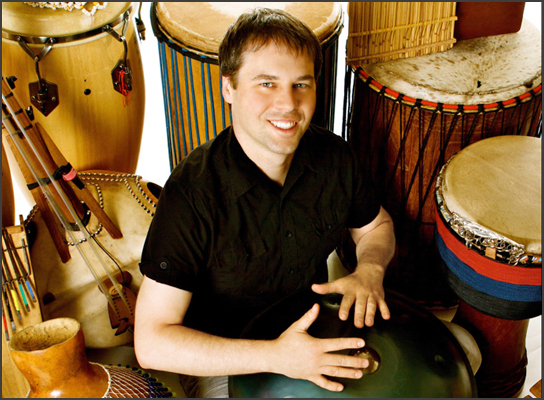 Drum along with Jordan Hanson’s Rhythmic Journey. Jordan is a world traveller who has taken a musical adventure around the globe. He has studied music in 22 different countries and plays some of the most unique instruments you have ever seen. Jordan’s quest for rhythmic knowledge has brought him to remote corners of the Amazon, to the samba schools of Rio de Janeiro, to traditional African village festivals and to Garifuna communities along the coast of Belize. On staff at the University of Victoria’s School of Music, he has taught world music there for the past 10 years. Sing along with Tina Filippino, a qualified teacher in BC, who travels to various communities to facilitate singing workshops and lead community sings. Tina uses the oral tradition of call and response and is expert at getting large audiences singing at special events. Tina’s Letz Sing Community Choir is part of the UBUNTU Network which believes that the joy of singing is a universal birthright, and that together, regardless of musical background, we can improve the world by joining our voices in song.